Kim Walls, M.S., is the CEO of Episencial® and creator of the Epicuren® Baby and Episencial skincare products and philosophy. A second-generation skincare expert from the family that developed the world- renowned Epicuren® anti-aging skincare products, she now combines her environmental activism with expertise in clinical skincare and nutritional science to develop green, effective skincare for pregnant women and children. For more than a decade, Walls has honed her perspective focusing on botanically-based skincare and transdermal nutrient absorption as a pathway to improved health and beauty for women and children. She shares her experience internationally with dermatologists and estheticians, as well as childbirth and postpartum professionals, underscoring the relationship between optimum health and skincare. Now through Episencial, she is dedicated to sharing that knowledge with new and growing families to support the enhanced health and immunity that effective, all natural products can provide. Kim’s strong, personal commitment to organic and environmentally-responsible living is at the core of Episencial’s high standards for green manufacturing and product development. As the mother of two young boys, she has coupled her innate understanding of the importance of sustainability with her post-graduate work in biochemical and nutritional sciences to establish a new standard in skincare research and products that supports lasting health for today’s families. Kim is a spokesperson not only for Episencial, but for her broader mission to support actively healthy parenting for a new Vivid Green Generation™. 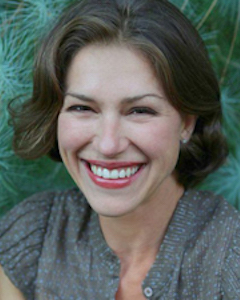 A sought after industry advisor to leading health advocacy organizations, a featured speaker on television and at industry events, a contributor to high-traffic websites such as www.drgreene.com, and www.mindfulmama.com, and as an author of articles for published books and periodicals, Kim offers her more than 15 years experience in the health and wellness industry to generate environmental skincare awareness in support of Episencial’s mission. Does My Baby Need “No More Tears”™ Shampoo? Are Your Baby’s Products Free From the Bad Stuff?